The famed whistleblower, whose 35-year prison sentence President Obama commuted during his last days in office, was speaking in conversation with artist and writer James Bridle at London’s Royal Institution, The Guardian reports. This whole notion that you get out of prison and you are free now turned out to be a bit of a downer in that sense… Because what happened, we really built this large, big prison, which is the United States, in the meantime—it was already happening, it just really intensified. You think about the surveillance systems, the cameras, or the police presence, and you think about the fact that we have walls around our country, and that is very much the same thing that is inside a prison … I see a lot of similarities between the world out here and the world that was in there. [The Trump administration is] the result of systematic problems. There was already deportations happening before Donald Trump. He’s just the end result of that. 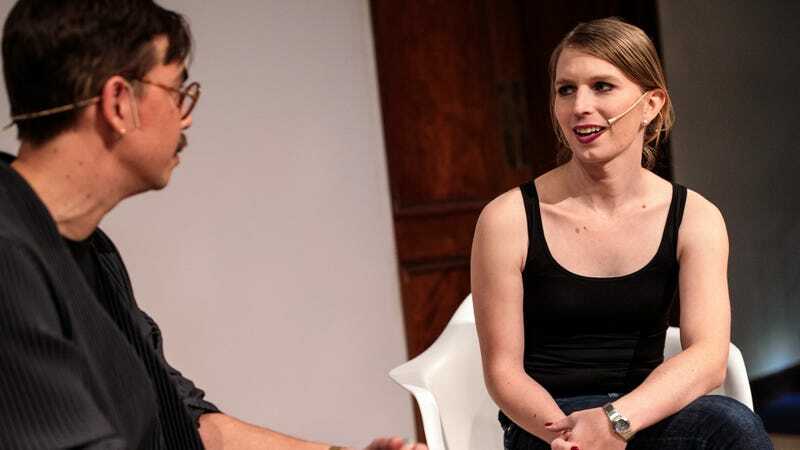 Read more about the event, Manning’s first public appearance in the U.K., over on The Guardian’s website.